So it appears we have experience confirmed by Scripture to support this doctrine. Of course, Christians sin. 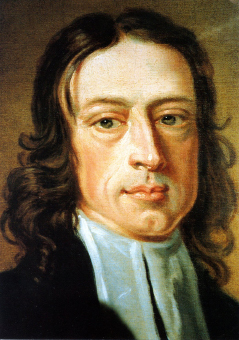 We who walk in the way of Christ in companionship with John Wesley have a different answer, radically different. The first distinction we need to draw is between those who bear the name of Christian and those who are truly born of God. As it happens, anyone may declare themselves a Christian. So the mere fact that someone who claims to be a Christian commits a sin does not really settle the question. To be a Christian means we have been born again — or in the language of 1 John been “born of God.” This is a teaching so fundamental to Wesleyan doctrine that I cannot imagine how we could deny it and still claim any connection to Wesley or the tradition that he inhabits. To be a Christian in the full sense, then, means to be born of God. And those who are born of God, do not sin. This is one of those cases where the translation you read matters. In the NIV and several other translations the key phrases are rendered in English as “do not continue to sin” rather than “do not sin.”* This gets into an argument over the sense and meaning of a single Greek word, an argument I am not qualified to enter into. But I have read enough on this to be persuaded that Wesley’s reading certainly has merit on scriptural grounds: Those who are truly born of God cannot sin and do not sin. But, we might object, we know of people who were not merely nominal Christians but truly born of God and who subsequently sinned. Doesn’t this make the reading advanced here contradict our experience? Here is the Wesleyan reply: It does not pose a contradiction because we hold that a person born of God can, by neglecting to worship, pray, study Scripture, and practice other spiritual disciplines, fall back into their old life. They can — in the spiritual sense — pass from life to death and give way again to sin. Properly speaking, when we do this, we have ceased to be born of God and have enlisted again in the family of the devil. This teaching, of course, runs against the Reformed tradition’s doctrine of perseverance of the saints. Exploring that theological disagreement, however, is a topic for another day. Another objection to the Wesleyan teaching that Christians do not sin might be that we will never be free from the kinds of ignorance and weakness that lead us to hurt each other and violate the will of God. We are imperfect people, we say, and so can never expect to live without making mistakes. Therefore, Christians will sin, if only by accident. Wesley’s answer to this runs like this: “A mistake is not a sin.” Wesley taught repeatedly that sin — an inward or outward action that tends to our condemnation — is a voluntary breaking of a known law or command of God. Acts we commit in ignorance or by accident may violate the law of God, but they do not threaten our salvation. This is also a doctrine that leads to argument, but it is thoroughly Wesleyan and consistent with the wider body of his preaching and teaching. So how, then, do Wesleyan Christians answer the question whether Christians can sin? We say that they cannot. So long as one born of God “guards himself or herself” they cannot sin, but if we do not maintain our connection to Christ, if we stop seeking him, we will find ourselves cut off from the grace that allows us to trample down sin and temptation. We will fall away. We will sin. If you have read this far, you may be wondering why anyone would spend so much energy trying to work all this out — especially in the face of so much disagreement among Christian communions. First, it matters because sin matters. Whether or not you agree with Wesleyan teaching about the nature of sin, you should care about the questions raised here. Sin destroys our life and — the same thing — separates us from God. If we care about that at all, then we need to understand the nature of our affliction. Second, it matters because it matters to people I pastor. Questions about sin come up all the time even in the small churches that I serve. As one who will one day — God willing — take a vow to teach and preach the doctrine of the United Methodist Church, I am compelled to understand those doctrines and find a way to explain them. Finally, it matters because I am a pastor. If my charge is to shepherd people toward and into the kingdom of God, then I need to understand what threatens and hinders people’s progress toward that goal. I can’t help people avoid pitfalls and dangers that I cannot see myself. Having a doctrine of sin is for the spiritual shepherd as important as having a knowledge of the diseases and dangers that afflict sheep is for the herder of sheep. *This is one place where the Common English Bible reflects a Wesleyan translation. Some of the CEB’s translation decisions in other places obscure Wesleyan doctrinal emphases, but 1 John is one place where the CEB can be read by Wesleyans without having to reinterpret the English.